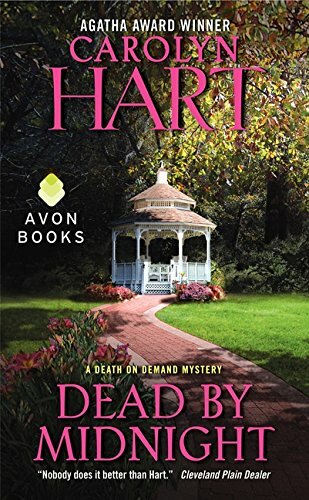 Solving puzzles comes naturally to Annie Darling, cheerful owner of the Death on Demand mystery bookstore on the lovely sea island of Broward's Rock. Annie is aided and abetted by her admiring husband, Max, who runs an unusual business that offers help to people in trouble. A recent death appears to be suicide, but Annie suspects murder. To solve the case, she unravels the mystery of a towel hidden at midnight in a gazebo, the lack of fingerprints on a crystal mug, blood on a teenager's blue shirt, and the secret of a lovers' tryst. Annie believes she has set the perfect trap for a merciless killer . . . until her cell phone rings and Death whispers in her ear.